I handle my finances with an "out of sight, out of mind" mantra – basically the opposite of how we're taught. If I overspend during the weekend, I wait as long as possible to check my balance the following week. If I receive an unexpected bill, it immediately goes into the "I'll do it later" pile. Fortunately, however, I always end up getting it done. Credit, on the other hand, is the ultimate financial "out of sight out of mind." I can't log in somewhere to view it, and there's no deadline for me to check it by. I know it exists, but I could go months, years even, without reviewing my credit report. And for someone like me, that's a problem. I pay my bills on time, so what's the big deal about checking my credit report? There are major problems that can arise from ignoring our credit reports – problems that exist even if we practice perfect financial habits. ID theft, incorrect information, and unknown collections are a few prime examples – things we'd never know existed without our credit report. And, left undetected, these errors can be detrimental. I don't want to apply for a mortgage and discover my credit score is 510 because Joe Schmo opened four credit cards in my name in 2011. I also don't want to find out that I've had a $40-medical bill in collections for the last three years, causing my credit to plummet. Or maybe there's information on my report that's just inaccurate. In any case, without reviewing my credit report I'd have no idea these errors existed; and the sooner incorrect activity is detected, the easier it is to dispute and remove from my credit history. Checking my credit report is a great way to catch and fix potential errors, but is that all? 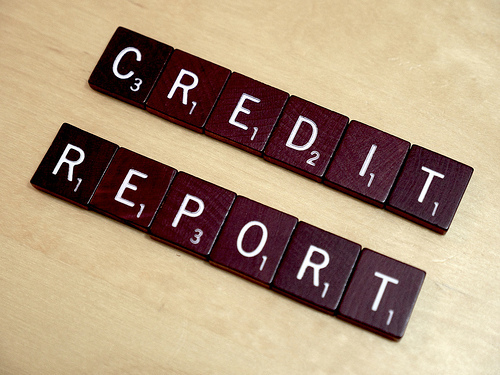 Credit reports are also a great resource to help build and improve our credit. Although the reports don't give our actual three digit credit score (this is an additional charge), they do indicate negative and positive activity that impacts said score – information we can use to make changes to our financial behavior. My credit report might point out that my credit-to-debt ratio is too high. With this information, I'd know to focus on building down my balances to improve my score. Or my credit report may indicate that I've had too many recent credit inquires, informing me that I need be more careful when applying for loans or other activities that pull my credit. Without reviewing my report, I probably wouldn't know that. I understand why it's important, but how much of a hassle is it to do? There are three major credit reporting agencies in the United States – Experian, Equifax, and TransUnion – and we're allowed a free credit report from each one every year. All we have to do is visit annualcreditreport.com and request it. You can request all three reports at once or, like experts suggest, request one from each agency every four months. Yes, it's another task to add to our never-ending to-do lists, but it's one that's definitely worth it. I know I won't get anything done unless I have a deadline, so I created credit report deadlines for myself; every four months I have an alarm set to remind me. Whatever works for you, do it. Like most things in the financial world, it's much easier to be proactive than reactive. Photo by www.LendingMemo.com via cc. By Anna Watson Copyright 2014 brass Media, Inc.